Item # 313774 Stash Points: 3,495 (?) This is the number of points you get in The Zumiez Stash for purchasing this item. Stash points are redeemable for exclusive rewards only available to Zumiez Stash members. To redeem your points check out the rewards catalog on thestash.zumiez.com. Walk the world in striking athletic fashion, with the Russell Athletic Brewton White & Blue T-Shirt. 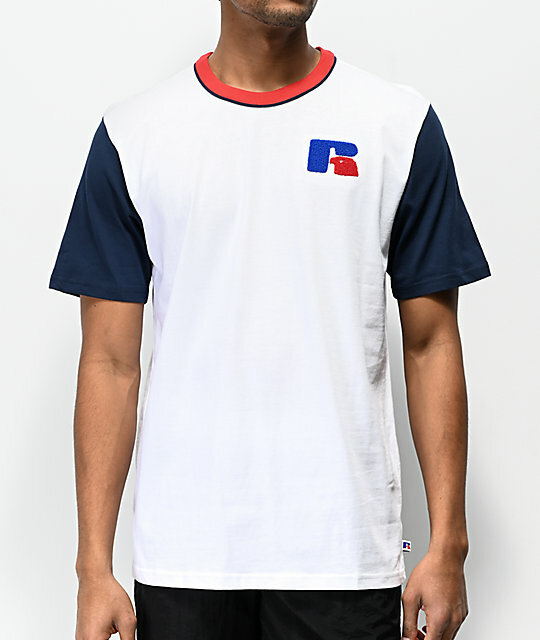 This short sleeve features a white body with navy sleeves along with a red crewneck collar for a mildly colorblocked appearance. 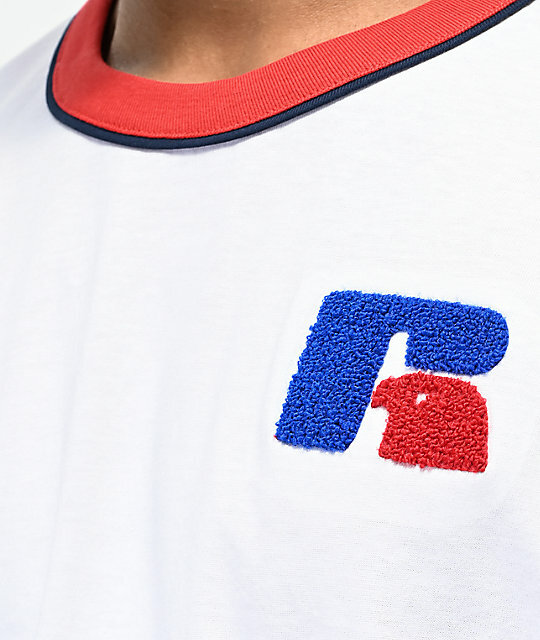 Finished with a fleece "R" logo at the left chest in matching red and blue for prominent branding and texture, this athletic wear-inspired shirt offers a look all-its-own. Brewton White & Blue T-Shirt from Russell Athletic. Embroidered fleece patch at the left chest. 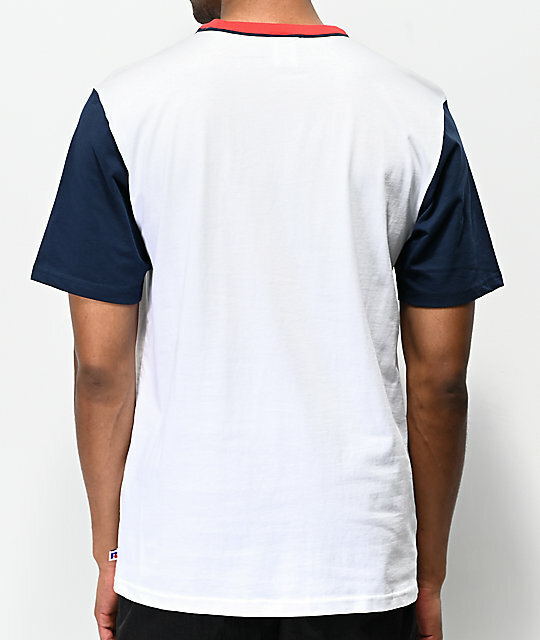 White body with contrasting navy sleeves. Red, ribbed crew neck collar. 33" (83cm) from top shoulder seam to bottom hem.